Before buying a work of art, pottery or furniture I prefer to read up on the artist. The reason why I never did this for Linn Ware was because I never intended to start a collection. I enjoy the stories connected with objects and places, sometimes more than the object itself. After my latest purchase of Linn Ware, I realised that I know very little about the group of women potters who created all these beautiful items that can still be found in small collections in antique shops in the Cape. Gauteng is a different matter altogether. In Gauteng, one can still encounter collections of bigger pieces for sale. At Riaan Bolt’s stall at the latest South African Antique Dealers’ Association (SAADA) Expo held in the V and A Waterfront, Cape Town, it came as no surprise that much of his collection of Linn Ware that he brought from Gauteng was sold within minutes. For once, I was relieved that we went early and I had time to choose the pieces that I wanted before it turned into a ‘feeding frenzy’. The high quality of clay found at Olifantsfontein, prompted Sir Thomas Cullinan to start a company that would produce fine china. 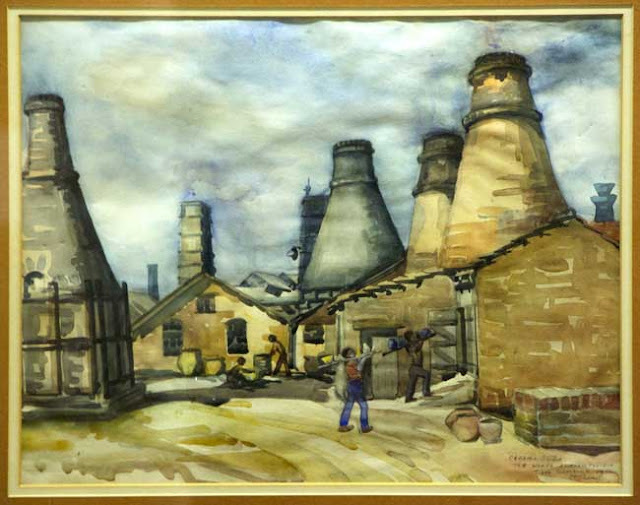 He had built a special "potters' village" and factory where he employed trained potters from Stoke-on-Trent. 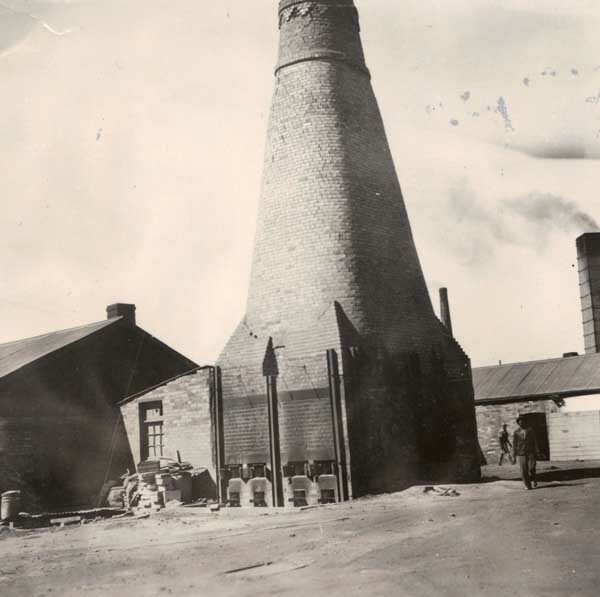 The first pottery was called ‘Transvaal Potteries’. The pottery closed in May 1914. This was succeeded by the Ceramic Studio, which was founded in 1926 and became known as Linn Ware in 1942. The Ceramic Studio was faced with closure during World War II, due to the loss of staff to the war effort and the unavailability of imported clays and glazes. Many of the Linn Ware glazes were developed locally because of the unavailability of imported glazes. After the Ceramic Studio closed, all the British potters were sent home and the workshops, kilns and special cottages were abandoned. On our Linn Ware pieces we have found different markings. 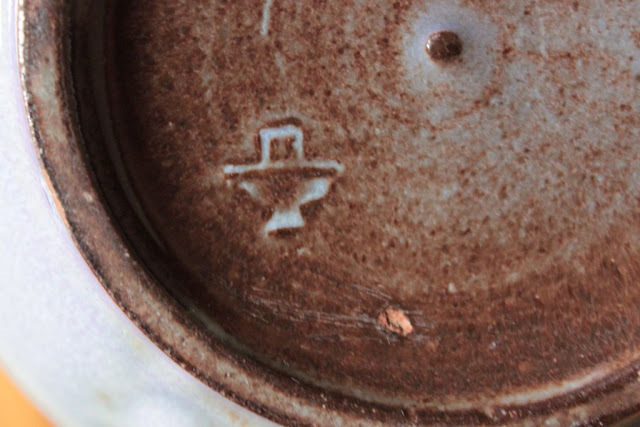 The transitional mark from Ceramic Studios to Linn Ware seemed to be the ‘hut’ or ‘bowl’ stamped on the underside of each piece. Then the words Linn Ware written underneath each piece, seems to date from after the Conrand Company bought the studio in 1943 and continued as the practice until as late as 1949. 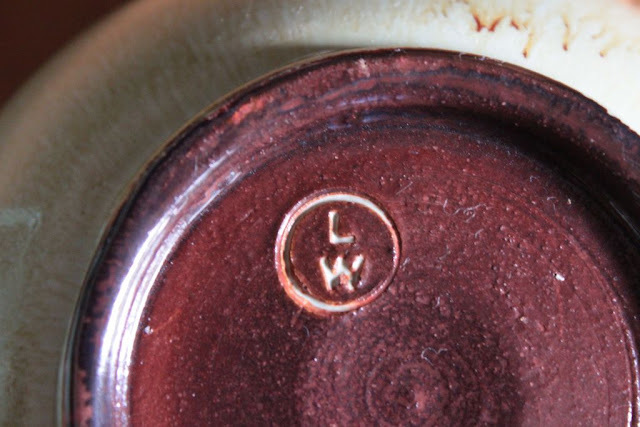 The LW stamp that appears under each piece seems to be a later marking. Joan Foster Methley and Thelma Newlands-Currie were two artists that worked for both the Ceramic Studio and Linn Ware. In “The Women of Olifantsfontein - South African studio ceramics” by Melanie Hillebrand, compiled for an exhibition held in the South African National Gallery in Cape Town in 1991, I found the following information about them. 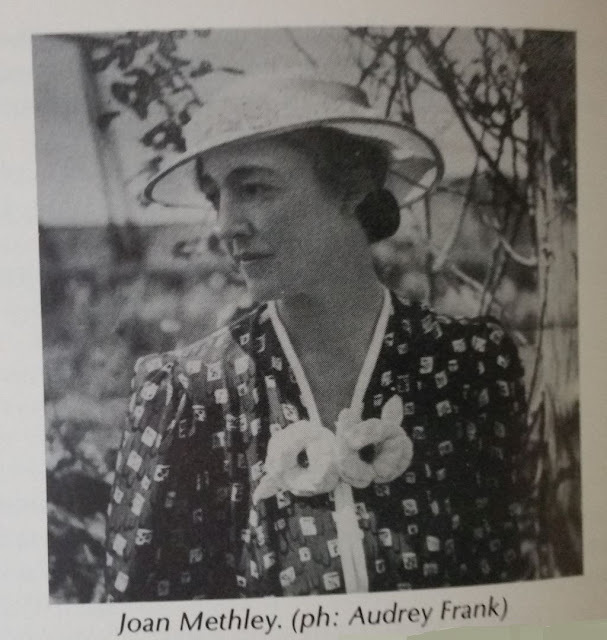 Joan Foster Methley (1898 – 1975) worked at the two studios from 1926 to 1952. She trained at the Durban School of Art (1916-1918) and the Royal College of Art, London (1919-1921). She was a co-founder of the Ceramic Studio and manager of Linn Ware. Thelma Newlands-Curry (1903-1990) worked at the two studios from 1928 to 1935 and part-time from 1935 to 1952. She trained at the Durban School of Art and the Royal College of Art, London as well and was employed by the studios as designer/decorator. Frank Agliotti was a skilled Italian potter who worked at the Ceramic Studio from 1926 to 1931. He took over throwing from Gladys Short, the other founder member of the Ceramic Studio. He later left the studio to start his own business. Joseph Agliotti, who was trained by his father, took over as thrower from 1940 to 1952. In Heymans's thesis there is also mention of four unknown Italian prisoners-of-war who were potters at the Ceramic Studio. South Africa has a proud history of creative people. If one looks at the number of public buildings that were decorated with tiles and sculptures made by the Ceramic Studio, the question arises as to how many of these works of art have been lost or survive or were simply recorded. I believe that the potters of Olifantsfontein and their works deserve more research and recording. I for one have learnt a lot from my limited reading of the history of Linn Ware and would like to know more. What I have read provides me with a new appreciation for these works of art. An amazing story. Thanks for all the interesting information. Hi....Thank you for all this info. I have been to an auction and bought a beautiful bowl...It has 3 distinct dots/spots on the base. It looks like Linn Ware...but has no other markings besides the 3 dots. Pls can you help me identify this beautiful bowl. Not directly related to your post on Linn Ware or indeed ceramics to the caliber that you deal in, but perhaps you will have some insight into my own research. Your post makes mention of Frank Agliotti. I am wondering if you would know if this would be the same Agliotti (or perhaps a relation of) that had a ceramics studio on the East Rand of Gauteng? I am doing research into architectural vernaculars of South Africa and my current focus is the Hacienda style popular in the 60, 70s, and into the 80s which was often accompanied by a Mexican sleeping under a Saguaro Cactus (sometimes also accompanied by an orange sun and/or mule) and my research has lead me to believe that the Agliotti was one of the primary producers of these wall pieces, but I am struggling to find any information beyond that. If you would happen to have any further leads or information on Agliotti it would be greatly appreciated. According to the Master in Arts thesis of Johanna Adriana Heymans, 'Potterbakkerswerk in Suid-Afrika met spesifieke verwysing na die werk wat vanaf 1925 tot 1952 by Olifantsfontein gedoen is', May 1989, was Frank Agliotti an experienced Italian Potter that worked at the 'Ceramic Studio' from 16 August 1926 to 3 September 1931 (page 34). 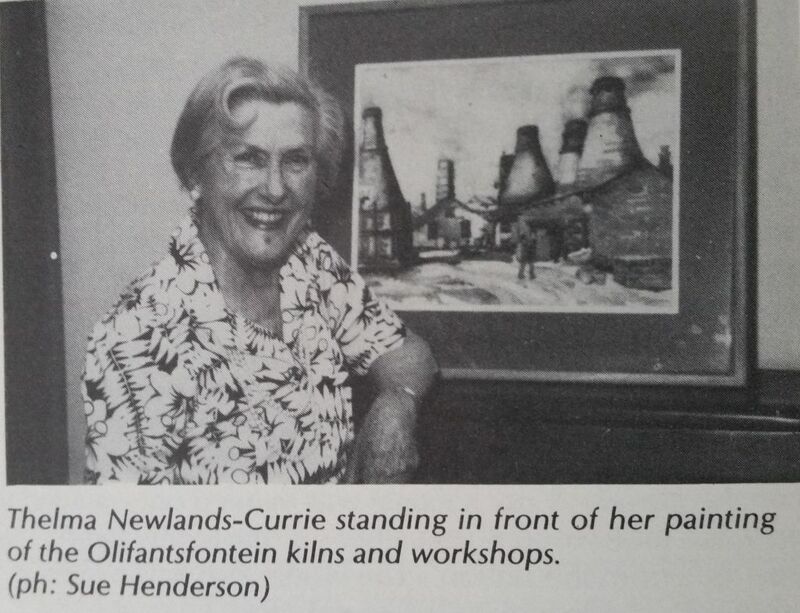 In the book 'The women of Olifantsfontein - South African studio ceramics' by Melanie Hillebrand, 1991 on page 16, it is mentioned that Frank Agliotti left the Ceramic Studio to start his own business in Kempton Park. As Frank was a potter by profession one can safely say that it would have been some kind of pottery studio. There are some contradictions between a newspaper article about Glenn Agliotti's grandfather in the Sunday Times of 19 November 2006 by Jocelyn Maker and Simpiwe Piliso that states, "Agliotti's father Frank and his brother Joseph were never friends. For years there had been "bad blood" between them. They had fought over land in Kempton Park and a small pottery business that their father, Giuseppe, had bought after he arrived in South Africa from Italy." In the book 'Glenn Agliotti' by Peter Piegl and Sean Newman, June 2013 the following information appears. " Grandfather Francesco came to South Africa from Calabria in the south of Italy after World War Two. The South African government was looking for people with specialised knowledge and he was an expert in ceramics and clay. He established a pottery in Kempton Park and bought property in the area as his business flourished." If we keep in mind that Frank( Francesco?) Aggliotti worked at the 'Ceramic Studio' from 16 August 1926 to 3 September 1931 before he started his own studio he could not have come to South Africa after WWII(1 September 1939 to 2 September 1945). The fact that is clear from all of this is that Frank Agliotti had a ceramic studio in Kempton Park. I hope this information helps you. Good luck with some interesting research. I have what I believe is a Linn Ware piece from 1936, but the makers mark is painted on the underside in glaze, saying "THE CERAMIC STUDIO, 1936" and the number "9185". The last 5 is unclear though... This bowl belonged to my granny, but I never asked about it's provenance when she was alive. Can you give me more info? I would be happy to email photos. 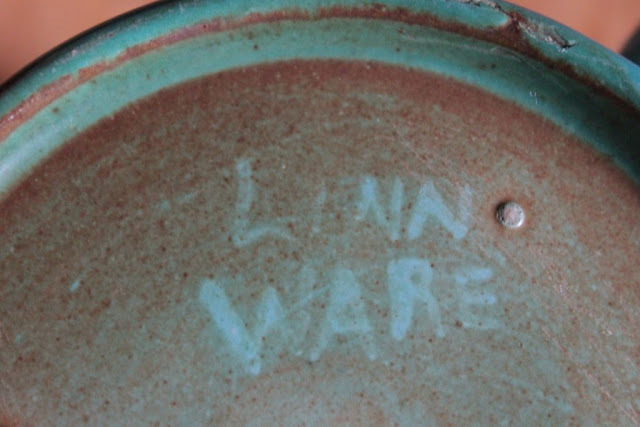 You have an original piece from The Ceramic Studio that was founded in 1926 and was sold and became Linn Ware in 1942. Your piece was still produced by the Ceramic Studio the glace might have a Linn Ware feel because some of the artist that worked at the Ceramic Studio was later employed by the Linn Ware Studio.